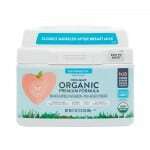 Why isn’t all baby formula organic? Truthfully… I have no idea. It makes perfect sense that we’d want to make food for our youngest humans as clean as possible. But sadly, that’s just not the way the market works. This means that every parent who’s had to buy formula before, has had to struggle with the question – should I spring for the organic? Well, if you are just at the beginning stages of researching formula, then I suggest you read this article first. In it, I explain that I think you should make the decision on the type of protein you want in your formula first, before you decide on organic vs. not. This is because – in the US, all infant organic formulas are made with intact (aka: really large) proteins. 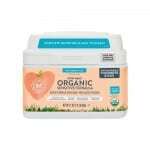 So, if your baby needs a partially hydrolyzed, or fully hydrolyzed protein source, then organic is not an option for you. Some of these formulas do offer non-GMO versions, but not organic. But if your baby does well with intact protein, then I do recommend buying organic if your budget allows. If organic formula is a financial impossibility for you, then that is OK! Parenthood is full of decisions and endless sources of self-inflicted guilt… the decision around organic should not be one of them! This lovely picture is totally just a stock photo. But a cute Mama and baby in flower dresses… and a braid! I am sure they are barefoot…. It looks like every organic commercial I’ve ever seen. How could I NOT use it!? If you can afford organic, then the great news is – you’ve got plenty of options! This is great news because every baby is different and special. Some babies do really well with prebiotics added, while it gives some babies too much gas. Some don’t respond well to DHA and ARA. Some thrive on a lactose-reduced formula with a little bit of glucose replacing the lactose …. you get the idea. For this reason, I don’t have a single brand that I universally recommend. In this article, I’ll walk you through your choices in 3 steps. First, I’ll review the components in organic formulas that differ. Second, I’ll break down your brand options and point out the differences. Third, I’ll provide a few notes on what makes each specific formulas stand out (or not…). This way, by the time you finish this guide, your decision will be an easy one! I suggest you read through the options with your individual angel in mind. Let your intuition fill in the gaps where you are unsure and then you’ll end up with the best brand for your family. Step 1 = The components of formula that you need to consider in order of importance (according to me anyway!). We already covered the fact that all US organic formulas are intact full-size protein. Yes it’s a bummer. But, as I tell my toddlers, “don’t dwell on sad things”. (This usually follows a meltdown because the provided sippy cup was green and not blue… but the devastation seems equally emotional). You do have a choice in protein type. First, you have a choice between soy and cow’s milk base. 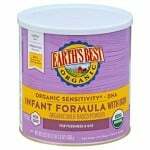 Earth’s Best has an organic soy formula. This is the only brand I’m familiar with that has an organic soy option. All the rest are cow’s milk based. Then, within the cow’s milk category, you’ve got some variation. Remember that cow’s milk proteins come in 2 categories: whey and casein. Most formulas use a base of nonfat cow’s milk (which is mostly casein with a little whey) and then add additional whey to make the ratio closer to breast milk (which is more whey than casein). There are some exceptions – like Similac’s and Vermont’s organic formula only use “nonfat milk”. So these two have much more casein than whey as the protein. This difference is really hard to spot! The ONLY place you can find it is the list of ingredients. Just look to see whether or not extra “whey protein” is listed somewhere in the ingredients. If you are just starting off, then I recommend looking for a formula that has the additional whey added. I think it’s best to start here, and then you can tweak ingredients if necessary moving forward. Here’s a tricky truth to keep in mind. Some formulas don’t have any lactose listed on the ingredients, but DO contain lactose. What!?!? How is this possible? Well, it’s because there is a significant amount of lactose in cow’s milk, so if you see “nonfat milk” on the ingredients, then there is some lactose in that – so you may not see additional lactose on the label. Take Vermont Organics as an example. Their formula does not have ANY lactose listed on the label. The only sources of carbohydrate on the label are: Corn Syrup Solids and Maltodextrin. But, you do see nonfat milk on the list of ingredients, so you know this is not a lactose-free formula. In fact, the carbohydrates in this formula are the following breakdown: 44.0% Corn Syrup Solids, 28.9% Maltodextrin, and 26.7% Lactose. That is a lot of lactose for not appearing on the label anywhere! These are the sneaky things parents have to figure out for themselves. I’ve provided percentages for you like this where relevant in the breakdown below. The last major ingredient is fat. All fat in organic formulas comes from vegetable oils. There’s not that much variation between brands. The big difference is that a few formulas choose to exclude palm oil form their blends. Palm oil has a little bit of controversy to it. I’m not going to go into great detail since I have another article about it, if you are interested. Here’s my general punchline: If your baby has a chronic constipation issue, then read the article and consider avoiding palm oil to see if that improves the situation. If you have nice consistent painless blowouts occurring in your house, then the fat blend used is probably not going to be a big factor in your choice. Baby’s Only and Similac formulas are the only ones that do NOT use palm oil. These are designer additions that aren’t required so you only find them in some formulas. In the organic market, these are prebiotics and lutein and lycopene. To be honest, lutein and lycopene don’t make that much of a difference to me. They definitely don’t sway my opinion one way or the other. Both of these help healthy bacteria grow, which has many benefits. But neither are the type of prebiotics found in breast milk. They are our chemically-similar substitute. Lots of the organics have a prebiotic, and these differ in amount. I tried to give an idea of how much prebiotic is in each of the brands below. I use some vague language here since some of the concentrations are proprietary (meaning secret), so we have to make some loose inferences based on the order of the list of ingredients. Happy Baby has by far the most prebiotic. I think this is fantastic for lots of babies. However, I think it is too much for some especially sensitive gas-prone kiddos. It may take a little bit of experimentation to find the right amount for your own special baby. I’ve got a whole video about hexane-extracted sources of the fatty acids DHA and ARA. These ingredients are controversial in some circles. There have been reported cases of some pretty bad negative responses in some babies. But these bad reactions are extremely rare. Hexane-extracted DHA and ARA are very common in formulas. It’s actually hard to find formulas without these ingredients, even though they are not required by the FDA. You do have some options to avoid these ingredients if you wish to, in organic formulas. The Honest Company intentionally leaves these ingredients out of both of their formulas. 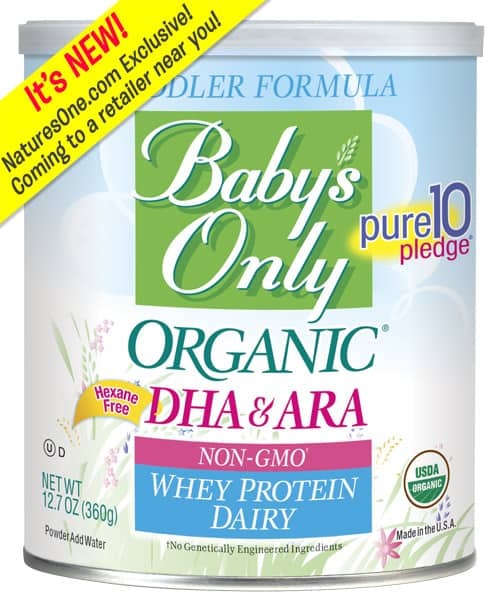 Also, Earth’s Best sells a “no DHA” version of their standard formula (look for the green can). Lastly, Baby’s Only is the only formula in the US that uses a non-hexane extracted source of DHA, which comes from egg yolk. These are last on my list because they are lowest on the list of ingredients (meaning lowest in quantity), and also less commonly reactive. There are lots of things that are in breast milk that are technically not nutrients. Some of these things are added to formula to try to make it like breast milk. These include: carnitine, taurine, and nucleotides. Here’s why some people find these ingredients controversial. The way the human mammary gland packages these chemical compounds is really different and more elegant than the way we scientists are able to extract or build them in a lab (and then sprinkle them into formula). For this reason, some parents like to avoid these ingredients and stick to a more simple formula recipe. If that speaks to your intuition, then you can look in the N/C/T column in the mega-chart below to see if the formula contains Nucleotides, Carnitine, or Taurine. Step 2 = The Breakdown of differences between brands. You made it!! Now that you now what differences to look for, you’re ready to compare your options. Below is the master chart of your brand options and what they offer in each of the categories we just discussed. I included two “honorable mention” formulas in the list. 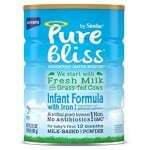 I included Similac’s Pure Bliss formula even though it’s not organic. This is because it is the only grass-fed option currently available in the US. Again, why aren’t ALL formulas grass-fed and organic?! **exasperated sigh** I don’t know. But, if organic is important to you, then grass-fed is likely also an appealing option, so it is nice to see how it stacks up with organic competitors. (For more background on grass-fed and Pure Bliss, check out this article). I also included Baby’s Only Whey formula. 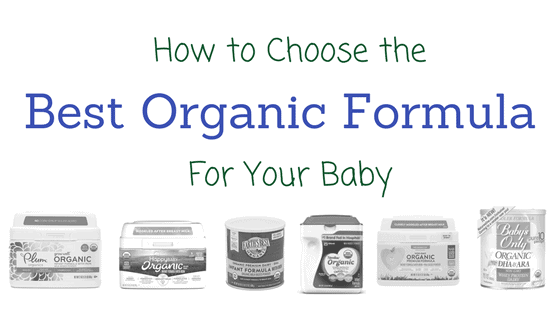 This is technically a toddler formula, but is a common organic competitor, so I wanted you to see it side-by-side with the infant formula options. (For more info about toddler formulas in general, check out this video). Honestly, I don’t like this formula. The protein blend has no extra whey and the sucrose (a fructose-containing sugar) seems unnecessary to me. It does have more DHA and more FOS than most other formulas on the market. It also does NOT use palm oil, which is unusual to find these days. Remember it’s NOT organic (it is non-GMO), but it is grass-fed. 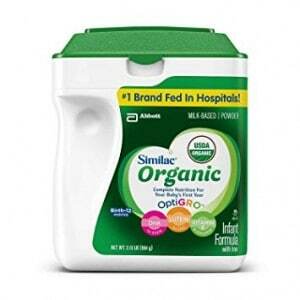 This formula has about half the amount of PREbiotic as Similac Organic or Pure Bliss. This organic formula wins my bargain award! However it is a great option if your little once has extreme difficulty with lactose. This is a great option if you want to avoid DHA. It goes head-to-head with Honest Co’s standard formula. I’m not sure why it’s more expensive than the standard version even though it seems identical except they’ve left OUT the DHA and ARA additives. But the $ issue aside, it’s nice to have another non-DHA option on the market. Pay attention to your box packaging!! The Honest Co JUST changed this formula’s recipe and BOTH versions are currently on the market. The info provided above is for the NEW version. Please check out my video on the change for more details. Also note, the new version is a tiny bit more expensive than the old version since they are making the new tub 2.2 oz smaller (sneaky!). If you are looking for a lactose-reduced organic, this is your “moderate” option, with 26% lactose, which is much more than Earth’s Best Sensitivity formula. If you are looking for a lactose-reduced formula with NO hexane extracted ingredients, this is your only option. (Baby’s Only has 2 formulas that do fit this criteria, but these are toddler formulas and I didn’t include it in this breakdown). This is a great option if you are looking for a “clean and simple” formula. This formula’s claim-to-fame is the large amount of prebiotics – the highest on the market! This can help the baby’s gut flora to look more like breastfed babies’. This formula is similar to Similac’s but doesn’t use Sucrose (a good thing in my book!). It also has about half the prebiotic that Similac’s provides. Remember this is a toddler formula! Be sure to watch my video about toddler formulas and talk to your doctor first if you are considering it. It’s the ONLY formula to provide DHA and ARA from a non-hexane extracted source (awesome!). It also doesn’t use palm oil (double awesome!). It is otherwise simple, with no prebiotic or lab-derived extras. Baby’s Only has other formulas options but I only included this one in the comparison since it is their only formula with no additional sugars. 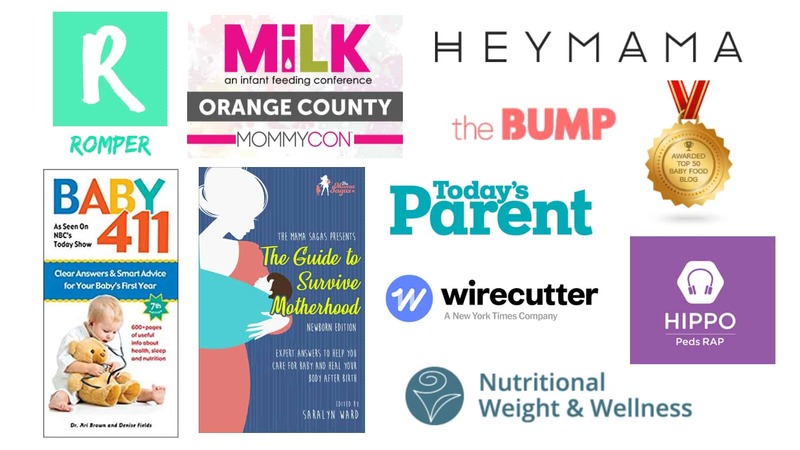 This guide ended up being a BEAST, but it really does cover everything you should consider when deciding on the best organic formula for your individual baby! I hope it serves as a useful reference that you can come back to again and again when considering your options. Remember that your intuition is the best guide out there! This article provides you the background. After that, trust what feels right for your baby. Know of a brand I missed here? Be sure to let me know in the comments and I’ll incorporate it. All my best to your very special baby! p.s. The links above that take you to Amazon are affiliate links. This means, if you end up buying the formula, I get a tiny kickback – at no cost to you. I only use these links for products that I have used successfully with clients before. Mama’s gotta pay those website hosting fees! This is how I can keep putting this free info out there. Thanks! You don’t need to feel helpless about choosing what formula to feed your baby! 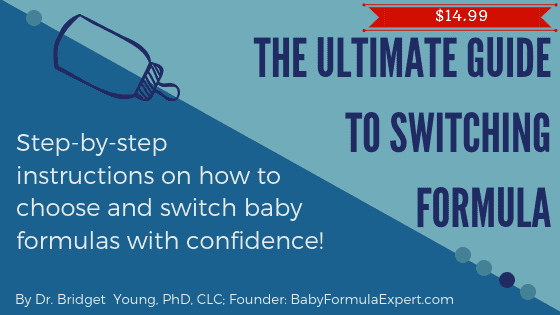 This How-To guidebook provides step-by-step instructions on how to choose and switch baby formulas with confidence! My 8 month old son lost a massive amount of weight after birth due to undiagnosed Pierre Robins Sequence (no cleft) and silent aspiration of everything except honey thick liquids (I thicken BM with GelMix). After months of research, feeding therapy, supplemental oxygen, and intense advocacy for him, he is only just now climbing onto the weight charts at all. Over the course of investigating his troubles I have EBF, triple fed BM, and EP breastmilk this whole time. I’ve EBF my other three kids (ages 7,5,3) until nearly 2yo each with zero issues. After a week stay in the PICU last month for my son’s pneumonia and septic shock my supply tanked and I’m barely producing up to 24 oz a day (with the use of galactagogues) and no freezer supply. I’d like to boost my son’s intake to the upper end (28-32oz/day) so I’m researching formula and your information has been so helpful. I feel very empowered as I read the labels now. Thank you! Would 6-8 oz of formula in addition to about 24 oz BM a day be beneficial? I’m struggling big time with the use of Palm Oil but also with non organic ingredients because I would hate for him to aspirate even trace toxins and I don’t want to risk blocking absorption, especially of the BM. Am I stressing unnecessarily?? Hi Sandra. Wow. That’s what I can say. Your family has certainly endured so much! As you are well aware – you should be making this decision with your medical team. Given his condition, there may be options I don’t know about (for example, perhaps he can go on a fortifier type product that could add nutrients and calories without much volume). It’s really something you need to ask the doc about. I can answer the question about formula! There are a few formula options that are palm-oil free and organic: Similac Organic and Similac Pure Bliss. Now, Pure Bliss is not organic, but it it Grass Fed which provides benefit that organic doesn’t. You also have some European options. Obviously you HAVE TO clear that with your doc as importing a European formula is a big deal. In that camp, you have some goat milk formulas that avoid palm oil, and HiPP Comfort (which is partially hydrolyzed) also avoids palm oil. Good things to discuss with your doc. Good luck Mama! You two are both inspiriting! Hi there! This guide has been so helpful. Thank you! I’ve heard a lot about ordering European brands like HIPP. I was surprised to find that they’re actually pretty similar in price to US brands but wasn’t sure if it’s worth the trouble to get them. Do you know what about them is so desirable? Thanks!! Hi there, my baby(14 months) was both breast fed and formula fed, and she is still drinking formula (plum Organics-purple box) at bedtime. Are there any toddler formulas that you recommend? Hi! If it is just one reasonably sized bottle at bed, and he is growing well – then you can just slowly switch from Plum to organic whole cow’s milk. Be sure to clear with your doc. If he’s healthy and eating well, he likely doesn’t need a toddler formula and milk would be fine. But there are really no “rules” here! You can also just stay on Plum until you give up that last bottle before bed which will happen sometime in the next few months anyway. In short – that “last bottle” and transitioning off formula all together are definitely something things that happen over time AND also have a lot of emotions involved – for both you AND baby! So don’t feel bad making the transition slowly and gently. And give yourself grace and permission to follow your baby’s lead. I hope that is helpful! My daughter is almost 5 months old and so far EBF. At work and supply is starting to not meet demand. Because she’s on the cusp of the 5/6 month recommendation not sure where to start and hoping to chose the right formula to start supplementing with a few ounces when necessary and then full formula in a few months if necessary. Minor reflux. Trying to decide between Plum Gentle, Gerber Good Start, Similac Pro Advance, Honest. Any advice?! Every time I feel settled in a decision I rethink everything and find myself back and square one. If you are starting off with just a little supplementation, then I would go for the recommendation for older babies. Check out the list, read why I recommended these, and then listen to your intuition. Then go with that formula and don’t second guess yourself. If your daughter has trouble with it, you’ll deal with the problem based on her symptoms, but chances are she will do amazing and worrying won’t help anyway. Being a Mom is hard enough! Hi Brittany, first off – if she is thriving, then I would not worry about her formula. There is no such thing as a poison formula. Plus, Mamas have enough to worry about without adding formula anxiety if baby is doing well. I am not surprised to hear she “prefers” the Similac. 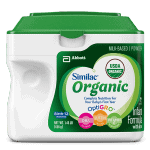 Similac organic uses carbohydrate sources that are sweeter than lactose, so it likely has a sweeter taste than lactose based formulas. If you are determined to switch, I would try a real slow gradual switch to wean her off the sweetness without her knowing. Maybe start with all her bottles 1/4 new formula and 3/4 Similac Organic. Then work your way up to 1/2 and 1/2 and so on. Hopefully this way, she doesn’t realize you are slowly changing to something less sweet. Of course be sure to clear any change with your doc. Very glad I came across your formula research as I have been trying to navigate it on my own for my first grandchild, my daughter is expecting…. I appreciate also that you have a PhD in nutrition…. Thanks so much for this research and sharing your results! what a sweet note – you are so welcome! Hi! 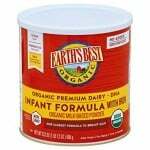 I have an almost 6 month old who has been on Baby’s Only Dairy DHA/ARA formula and doing great! No spitting up. Gaining weight appropriately. My doctor has never heard of BO and wanted me to switch at 4 months. I was afraid to. Why ruin a good thing? What can I tell him to make him feel better about it? I love your website as I am transitioning my 4 month old to formula. He is in on Prevacid for silent reflux. We have just gone through a box of Lebenswert Stage 1 and are now trying the HIPP Stage 1 to compare. So far I prefer the Lebenswert for taste and consistency. I was just wondering why these two brands were not in your comparison? I now realize with his reflux, the intact proteins might not be the best choice, but I want to avoid corn syrup solids and soy, among other questionable ingredients. Hi Lindsay – the European formulas aren’t on this list because I have a separate article about them. As you know the EU formulas aren’t regulated in the US and are not imported through “normal” channels. So it’s a choice you need to make with your doctor. If you want to try a partially hydrolyzed protein (which is not a bad idea if you are dealing with reflux), here is an article breaking down your options. My 3 month old has mild to moderate eczema. He is exclusively formula fed since my supply tanked and is currently on Similac Pro-Sensitive Non-GMO. His pediatrician thinks he may have an issue with dairy, so we had tried Enfamil Nutramigen, but on the second day I switched him back to Similac because it seemed like it was making his eczema worse (more dry). Have you heard of such a case? I know eczema could be so many other factors, such as using Aquaphor while on Nutramigen (we now think he may be allergic to the lanolin in Aquaphor). He does well with the Similac Pro-Sensitive, but I’m still noticing he has redness around his eyes when he has a feed. We medicate when he has flare-ups but obviously I can’t apply it around his eyes, so I know he’s having a reaction with his feeds if his eyes turn a little red. Would it be a benefit at all if I switch to an organic, sensitive formula or should I give Nutramigen another try since we now think he has a sensitivity to Aquaphor? Would love your thoughts. Thank you for your time! Hi Michelle, I can’t tell you what to do – sorry! I can give you some info that may help. Similac Sensitive is an intact protein that is 80% casein. Nutramigen is fully hydrolyzed protein. There are tons of options in between these 2. You could try a partially hydrolyzed formula – which have been shown help with eczema in some cases – ONLY IF your doc is OK with you testing this. Here is an article breaking down your options in this category. How do I know when to transition my baby to a stage 2 formula? My little was breastfed until about 5 months, and then after a little trial and error has been doing well on Gerber Good Start Gentle Stage 1 for the last month. As she continues to eat more solid foods, when do I try switching formulas? Probably to something with organic, intact proteins. This website is the best. I really enjoy your scientific approach. Thanks! Hi Samantha – I have a video about this that may help! What about Goat milk formula? Any info or thoughts on that? Any advice on my current situation – tried Lebewert stage 1 and happy baby organic stage 1 for my 5mo old. Did fine the first time taking each, but the past two times taking lebewert, he has projectile vomited A LOT. I’m at a loss. I’ve tried full formula bottle, mixing half formula and half breast milk, not sure why this is happening. I follow instructions to a tee and make sure everything is sanitized. Would love to continue to exclusively breastfeed but it’s unrealistic with my work travel. Appreciate any help! Hi Rebekah – I’m so sorry! Honestly, it could be a million things. Lebenswert and Happy Baby are similar in that both are intact proteins, both are lactose based, both have palm oil, etc. So it is hard to predict what ingredient could be bothering your little guy. Ask your doc if they have a recommendation. Or, you can set up a time to speak with me and we can go through his history in much more detail and come up with a plan together. 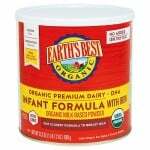 Why do organic formulas have a lower whey to casein ratio than other formulas and breast milk? Haopy baby’s ratio is 30/70 whey to casein. I was deeply considering this formula until I found that information. We are supplementing with neuropro now and she’s doing fine with it so I don’t need a lactose reduced formula. I think we are ultimately going to go with HIPP Dutch. I’ve literally been reading your articles and watching your happy hours for the last two weeks and still haven’t been able to make a decision but you have been so helpful! All I can say is…thank you! This has been the most helpful of any website or guide that I have found! I can’t believe you took the time to write such a nice comment. Thank YOU! Which would you recommend for an exclusively breastfed 8 month old whom I will slowly start supplementing with one formula bottle a day (and then eventually more). Baby has no issue with gas/spit up etc. Looking for something clean, organic and with DHA. You think the Plum? How do you feel about cows milk vs soy for babies? I’m so conflicted on this. Plum is a great choice! Check out my starter recommendations here. So do you know where I can buy an organic formula that’s good for baby. I mean I can’t sleep and the baby’s only takes too long to ship to Canada and super expensive. Hi Jumana, I would suggest going to the store near you and seeing what your options are. Then compare the ingredients and pick the best for your baby based on your options (you can use the chart in this page as a general guide of what to look for). That way you don’t have to worry about shipping and tariffs or anything like that. Good luck! Hi Dominique, what an awesome job pumping for your NICU baby for 3 months! That’s awesome Mama! I’m so sorry she is having problems keeping down formula. Honestly, I can’t give advice for premature babies since I am not a Neonatologist, and you know more than most than NICU graduates can still have unique complications. I suggest you start with this article about protein size which will help you differentiate the classes of formula you have tried, and the ones you have not tried. Then talk to your Dr about the next category of formula you want to try, and have them help you adjust the calories if necessary. Sorry I can’t be of more help than that…. Good luck Mama! I noticed plum organics has a gentle (red) version that the label says contains lactose , partially hydrolized whey for easy ingesting…only difference i saw on label with the purple can was lactose, non fat milk & whey protein. thoughts? good version of plum to try for gas? Can you give me a breakdown of Earth’s Best Gentle (Blue Can)? Hi Hannah – sure thing! Here’s a video I made on the topic. I watched all your review video to educate myself on what formula to choose for my reflux and protein intolerant baby. I’ve been BF until about 6 months. That’s when I started experimenting with supplementing with formula. I tried the hypo allergenic and they smelled and tasted awful. I then tried Gerber and Gerber soother but baby spit up constantly- even after we had the spit up under control with Raditine 2x a day. I then started on Earth’s Best Gentle in the teal can before watching you’re review. He’s been drinking that pretty nicely for a little over a month. I just today started plum gentle based on what you shared in the Earth’s Best video and the plum gentle happy hour. It’s only night one but he’s fussy and spitting up a little more. Any reason you may suggest why this could be happening? Should I wait the 10 days or switch him back to the teal can? I would guess he’s fussing immediately on Plum Gentle since you switched him from a lactose-reduced to full lactose formula. This means his body needs to ramp up it’s lactose-digesting capacity. You can definitely wait the 10 days to see if he improves. This will help if you prefer Plum Gentle. Otherwise you will have the “what if” scenario in you head. If you don’t have a preference, then I would just stick with the Earth’s best Gentle. Use what works, and trust your intuition! I love it! I wish it would hurry up and release in the US! Currently they only have a toddler formula out. Here is a review I did of the infant formula when they announced it would be released Spring of 2017 … but we are still waiting. Hey there, I really think my baby has a lactose sensitivity. I used to have him on the Gerber soothe and felt like there was good improvement with gas but his poops were awful!!!! I decided I want to try to go organic and now have him on earths best (red can) his poops are better and he doesn’t spit up near as much as the Gerber one. But he’s way more gassy again! What can I do? Shall I try the earths best sensitivity? It seems as though that one has even less lactose than the Gerber… any issues with even less lactose? I want to give my baby the best but also want him to be happy and comfortable. Also can corn syrup solids cause constipstion? Would love to hear your advice. Hi Beth, if the problem on Gerber Soothe was just smelly poops, then I would take that over gas pain. But honestly, gas is such a normal issue it is hard to know from your comment if switching formulas would help. Trust your intuition there. If you want to try an organic lactose-reduced. I would suggest Honest co Sensitive (which is about 25% lactose) over Earth’s Best Sensitive (which is less than 1% lactose). Corn syrup solids does not normally cause constipation, I would guess any constipation is from the switch from partially hydrolyzed protein (Gerber) to intact protein (Earth’s best). Good luck Mama! Do you recommend Happy Baby Sensitive? Hi Stacy, it totally depends on the baby. Happy Baby Sensitive is an intact protein, lactose reduced formula. Looking at the ingredients, it is very similar to Honest Co Sensitive. It will be helpful for kiddos who have a hard time with 100% lactose, but can handle intact proteins. Your information has been soooooo helpful to me. Recently my daughters pediatrician thinks she may have a lactose intolerance (which has not added up to me), but this has been helpful to me in deciding which other formulas I can try. Thank you!!! Oh you are so welcome! thanks for taking the time to write such a nice comment. It warms my heart. My baby will be 3 months old next week. I’ve had to supplement him with formula since he was a week old due to low milk supply. He is currently using Happy Baby formula. We switched to this about 3 weeks ago. He has always spit up but since switching to this formula it is crazy amounts of spit up. I suspect he may have a sensitivity when I eat dairy and I’m wondering if the protein in this formula may be causing more of an issue for him since it is not broken down at all. He has used the red can of Earth’s best and Gerber Good Start gentle. I’m wondering what might be a good next step to help with the spit up. I was hoping to stick with an organic with better ingredients but I’m thinkjng now we may need to avoid organic due to the intact protein. Any thoughts on a good next step? 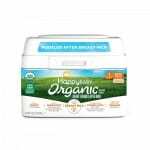 All the organic formulas are also only 30% (or less) whey. So yes, he may need a partially hydrolyzed formula, or he may just need less casein and more whey. Something like Enfamil Infant (60% whey) or Enfamil Newborn (80% whey and fine to feed beyond 3 months) may be helpful. Ask your Doc which of these sound like a better fit based on his individual history. Leave a comment when you find the right one … Good luck Mama! Can I ask how you discovered the percentage of lactose that is in the Earths Best sensitivity formula? I’ve been trying to locate the exact percentage and can’t find it anywhere! This looks like a great “stripped down” simple organic intact protein, mostly whey formula. Looks like the company is Australian, so I am not sure what kind of regulation they have there so I can’t speak to that. If you are importing, I would look into their regulation first just to be sure you are getting a certified product. I love seeing new brands … thanks! I’ve just started reading through your articles and watching your videos and am so thankful for the information. I am not sure if you have mentioned it somewhere before or are purposely not mentioning it, but what formula did you personally use for your little ones? Did you use one of the ones you recommend? With the new formulas on the market, what would you have chosen now? Hi marquie! I actually do avoid it – not to be sneaky, but because every baby is so different that I recommend different formulas for different situations. I do have a recommendations page if you are JUST starting out with supplementation and don’t know where to begin. 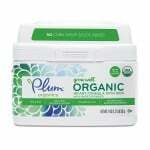 I will be adding Plum’s Gentle formula to the recommendations for newborns, but haven’t gotten around to it yet. I hope that helps! How about the European brands of organic formulas? I have heard they have higher standards. Thank you for pointing out that Baby’s Only is not an Infant Formula. I just got a list of contents and amounts in grams. Some are way too much for Infants. Have seen so many sites and blogs telling people its safe for Infants. Thank you for such an informative article! Do you have a similar matrix for “regular” (non-organic) formulas? It is such a great way to digest the information. You’re so welcome! I don’t have a chart in one single place, but you can see the breakdown of the major US brands for fat, protein and carbs individually on the individual articles about these topics. 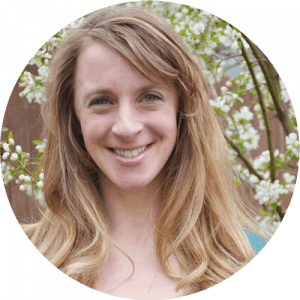 Dr. Bridget Young understands the pressures, emotions, and stress that surrounds early parenthood in general and decisions about feeding in particular. With a PhD in Nutrition, her day job as a Research Professor and Certified Lactation Counselor complements her most important role – a mom of two young sons.